A simple web based interface for a publisher to both manage and sell their digital content. 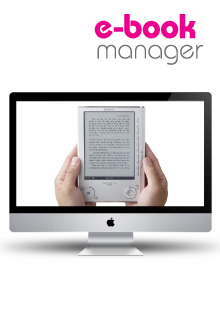 E-Book Manager provides the interface to upload and secure both epub and pdf content. 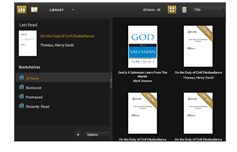 The files are stored and delivered from a robust server solution that digitally protects PDF and reflowable EPUB eBooks for Mac, PC and supported mobile devices / e-readers. The solution is easy to integrate into your existing systems using industry-standard technologies allowing you to host and manage eBooks on your existing infrastructure. £500 per annum provides 300 downloads. Additional downloads at a £1 per sale/download.